Wood Frog (Rana sylvatica) photographed in Livingston Co., Michigan. They spend much of the year living in forests. They are able to survive freezing during winter. As spring arrives and winter thaws, the frogs migrate to vernal pools to breed. 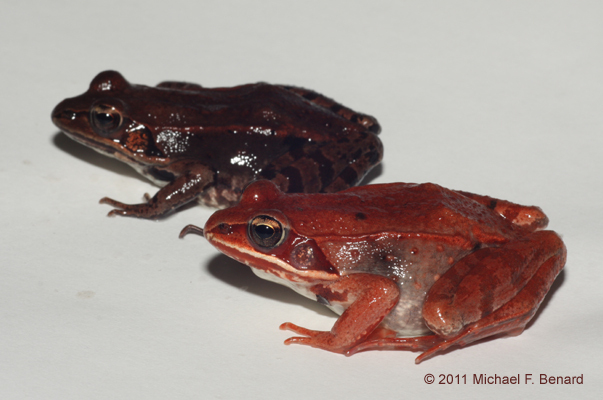 Two female wood frogs from the same pond; one is red, while the other is brown. 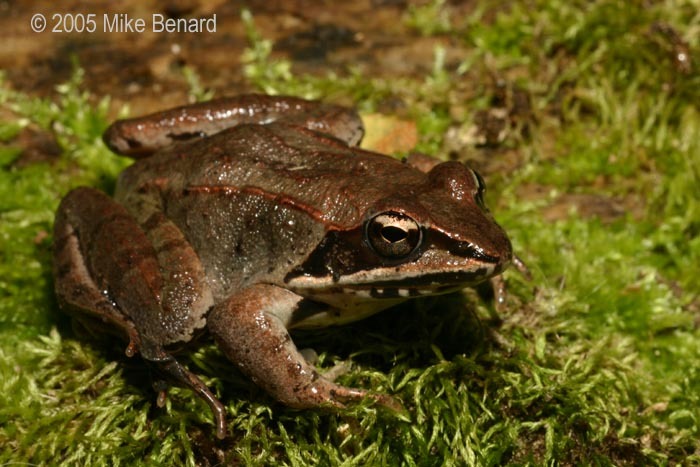 This color polymorphism is common in wood frogs. A male wood frog in amplexus with a dead female. 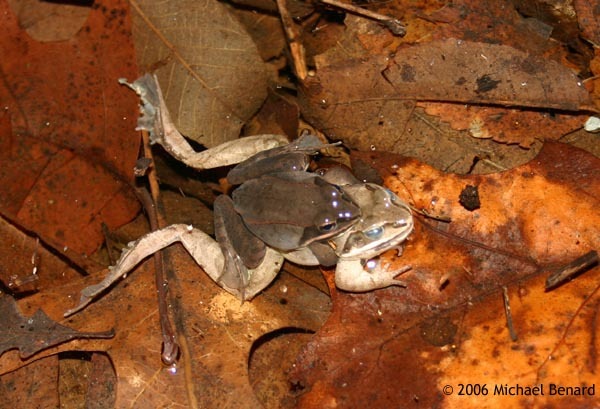 Male wood frogs have an extremely strong drive to mate, which sometimes puts them in unusual situations.